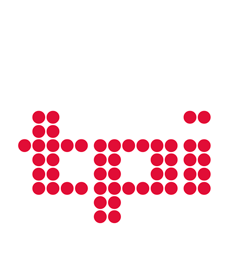 TPMEA – Total Production Middle East & Africa is the sister publication to TPi – Total Production International (1998), the leading global publication for the live events, festival and concert touring industry, home to the industry’s biggest networking dinner, the TPi Awards. Circulated to almost 10,000 key international decision makers, TPi’s long established readership ranges from show designers and technical crew to tour and production managers, event promoters, rental suppliers of professional sound, lighting, video, staging, special effects and rigging as well as the sectors which keep live events running smoothly such as crowd security, catering, trucking, bussing and power generation. Published in the UK by Mondiale and established in September 2015, TPMEA is the next generation of TPi’s niche expertise in the live event trade media. Dedicated to the region via a quarterly print publication, website and monthly newsletter, the entertainment technology and live production community in the Middle East and Africa will further benefit from Mondiale’s 15-year connection to the continents. TPMEA promises to shine a light on the consistent, world-class development of these continents and the skills, expertise and creativity behind the companies and the people putting the Middle East and Africa on the live event map. The publication is currently printed four times a year as both a stand alone magazine and bound inside TPi, gaining from a core international readership and localised distribution. We are TPMEA and we look forward to working with you.